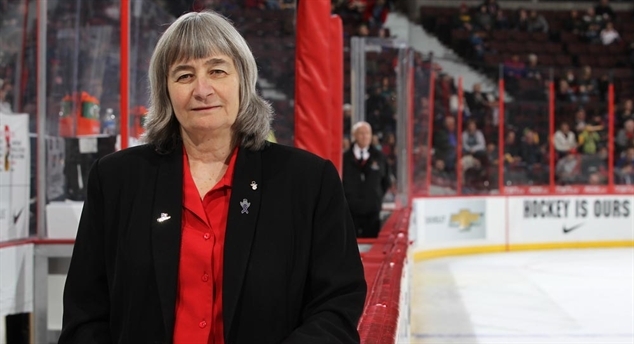 CAN 1990: Sue Scherer Although Sue Scherer was 33 years old when she captained Canada’s team at the inaugural Women’s World Championship in Ottawa some 23 years ago, she had spent much of her life in hockey and sport. Canada-USA for gold Canada broke open a close game with five goals in the second period en route to an 8-1 win over Russia. Canada will now face the U.S. for gold while the Russians and Finns will play for bronze. Backlin to play at UMD Lina Backlin was just 15 years old when she played in her first Women’s World under-18 tournament in 2010. Order of Hockey ceremony Stephen Harper, Canada’s hockey loving prime minister, welcomed Hockey Canada dignitaries and guests to Parliament Hill for the second annual Order of Hockey in Canada ceremony. Americans off to finals Hilary Knight broke a scoreless tie at 13:55 of the third period to send the U.S. on their way to a 3-0 win over Finland. The win puts the USA in the gold-medal game and the Finns in the bronze game. Sweden up, Czechs down Sara Grahn stopped 19 shots, and Sweden got goals from four players to defeat the Czech Republic 4-0 in a relegation-round game today. Pashkevich’s comeback “I’m one of the originals!” Yekaterina Pashkevich says with a proud smile, noting she was with the first ever Russian women’s hockey team in 1993.